"The Well-Laden Ship "("Fecunda ratis") is an early eleventh-century Latin poem composed of ancient and medieval proverbs, fables, and folktales. Compiled by Egbert of Liege, it""was planned as a first reader for beginning students. This makes it one of the few surviving works from the Middle Ages written explicitly for schoolroom use. Most of the content derives from the Bible, especially the wisdom books, from the Church Fathers, and from the ancient poets, notably Vergil, Juvenal, and Horace; but, remarkably, Egbert also included Latin versions of much folklore from the spoken languages. It features early forms of nursery rhymes (for example, "Jack Sprat"), folktales (for instance, various tales connected with Reynard the Fox), and even fairytales (notably "Little Red Riding Hood"). The poem also contains medieval versions of many still popular sayings, such as "Don't look a gift horse in the mouth," "When the cat's away, the mice will play," and "The apple doesn't fall far from the tree." 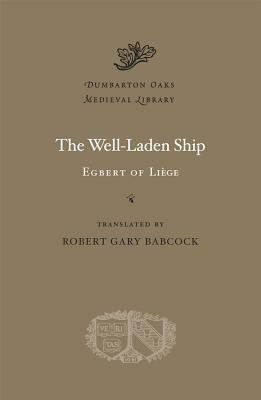 "The Well-Laden Ship," which survives in a single medieval manuscript, has been edited previously only once (in 1889) and has never been translated. It will fascinate anyone interested in proverbial wisdom, folklore, medieval education, or medieval poetry.